Ductal carcinoma in situ (DCIS; intraductal carcinoma) of the breast is commonly found in an asymptomatic woman on routine screening mammography. The purpose of this review is to describe current approaches to the management of DCIS as well as areas for future investigation. Randomized trials have demonstrated that adding radiation treatment after breast conservation surgery (lumpectomy; surgical excision) reduces the rate of ipsilateral local recurrence by about half, and that adding hormonal therapy reduces the rate of all breast cancer events (ipsilateral plus contralateral). Early clinical studies attempted to stratify the risk of recurrence using conventional clinical and pathologic features. More recent clinical studies have attempted to define prospectively patients with lower risk DCIS for whom omission of radiation treatment after lumpectomy is a reasonable option. Molecular profiling is a newer approach to define risk stratification for DCIS. Combining molecular profiling with clinical and pathologic features appears to be more accurate in defining and stratifying the risk of recurrence after lumpectomy. After lumpectomy for DCIS, risk stratification using clinical and pathologic characteristics, and more recently molecular profiling, can help guide clinical decision-making for the use of radiation treatment and hormonal therapy. Ongoing studies are evaluating the possibility of de-escalating therapy, and in some studies, even using core biopsy alone, without surgical excision. Lawrence J. Solin has received compensation from Genomic Health, Inc. for participating on speaker’s bureaus and advisory boards. All reported studies/experiments with human or animal subjects performed by the author have been previously published and complied with all applicable ethical standards (including the Helsinki declaration and its amendments, institutional/national research committee standards, and international/national/institutional guidelines). Gradishar WJ, Anderson BO, Balassanian R, Blair SL, Burstein HJ, Cyr A, et al. 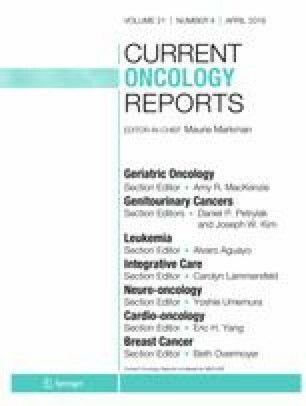 Breast Cancer, Version 4.2017, NCCN clinical practice guidelines in oncology. J Natl Compr Cancer Netw. 2018(16):310–20. https://doi.org/10.6004/jnccn.2018.0012. • Rakovitch E, Nofech-Mozes S, Hanna W, Sutradhar R, Baehner FL, Miller DP, et al. Multigene expression assay and benefit of radiotherapy after breast conservation in ductal carcinoma in situ. J Natl Cancer Inst. 2017;109. https://doi.org/10.1093/jnci/djw256 A report demonstrating the benefit of adding radiation treatment after surgical excision as a function of the 12-gene Oncotype DX DCIS Score. Comparison of operative to monitoring and endocrine therapy (COMET) trial for low risk DCIS (COMET). https://clinicaltrials.gov/ct2/show/NCT02926911. Accessed 27 Nov 2018.